Saving just over 200 dollars, Sibukale earned over 500 dollars from a portfolio of 2,100 dollars, which the 25-member group saved in eight months. Using the farmers’ club concept, up to 25 members come together and form a solidarity group. The group meets on either a weekly, bi-weekly or monthly basis to save (buying shares at a stipulated price) based on their financial capabilities. The money is banked in a box whose keys are kept by two or three people for purposes of transparency. For financial sustainability, members are encouraged to borrow and pay back at an agreed minimal interest rate. While there are several organisations championing savings for the majority unbanked rural population, Sibukale and his group are part of the World Food Programme (WFP)’s R4 rural resilience initiative. One African proverb states: “If the rhythm is changing, so must the dance steps,” implying the need to develop new strategies to deal with emerging complex challenges such as climate change, which is compromising food, nutrition and income security—three key elements at the core of Sustainable Development Goals (SDGs) 1 and 2, aimed at ending poverty and hunger. Therefore, as climate change is already complicating global food systems, development actors are also looking to integrated approaches to sustain productivity and production especially for the over 500 million smallholder farmers who produce much of the world’s food. In support of national efforts to boost productivity and strengthen farmers’ food and income security amidst climate shocks, R4 deploys a set of four risk management strategies integrated through the project, which combines risk reduction (improved resource management), risk transfer (insurance), prudent risk taking (microcredit), and risk reserves (savings). According to Allan Mulando, head of Disaster Risk Management and Vulnerability Assessment at WFP Zambia, the idea is to support farmers with several layers of protection across the value chain starting from production up to market access. “In addition to conservation agriculture, insurance and microcredit, savings groups are specifically put in place to pool together financial resources which act as a buffer against short term needs, especially in times of shocks such as droughts and floods which usually lead to crop failure, ultimately affecting the normal livelihood pattern of the people,” explains Mulando. And this is exactly what happened to farmer Sibukale. Last season, he lost one of his oxen, which negatively affected his tillage activities through reduced animal draft power. “I am happy that I joined this group where I’ve earned enough to replace it,” he said, proudly pointing at his newly acquired ox. Whereas conservation agriculture and weather insurance are two layers of protection to support improved productivity, Sibukale believes savings are an added incentive. Based on such positive strides, weather insurance and other related financial services for farmers’ adaptation to climate change have become topical issues at the highest global decision making levels. For instance, at COP 23, a global partnership to provide more financial protection against climate risks—‘InsuResilience’ moved into higher ambition phase. The Initiative, which was launched in 2015 by the G7 group of nations under the German Presidency, aims at providing insurance to 400 more million poor and vulnerable people by 2020, and increase the resilience of developing countries against the impacts of climate change and natural disasters. It brings together G20 and V20 nations—the most vulnerable nations including Island states. “The Global Partnership is a practical response to the needs of those who suffer loss because of climate change,” said the COP23 President and Fijian Prime Minister Frank Bainimarama. Meanwhile, Thomas Silberhorn, German’s Parliamentary State Secretary to the Federal Minister for Economic Cooperation and Development, announced support for the new global partnership of 125 million dollars as part of the launch. The most recent example of support was in September 2017, when more than 55 million dollars was paid out to ten Caribbean countries within just 14 days after hurricanes Irma and Maria had wreaked disaster on the islands. In Zambia, InsuResilience supports the NWK Agri-Services cotton company, which offers direct weather and life insurance to small contract farmers. In 2015, some 52,000 farmers decided to buy insurance. Following a major drought in 2016, more than 23,000 farmers received payments. And based on lessons from the R4 model which WFP has been piloting in Zambia since 2014, the Zambian government has this farming season incorporated weather insurance in its Farmer Input Support Programme (FISP) E-voucher programme, which has also allocated 20 percent for legume inputs aimed at encouraging crop diversification, an inbuilt resilience measure promoting improved soil fertility and income for farmers. 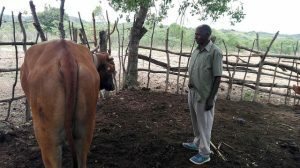 The post Village Savings: Helping Small Farmers Weather Climate Shocks appeared first on Inter Press Service.